I tend to always be a little late to jump on the proverbial bandwagon. It took me forever to finally read the Harry Potter, Twilight, and Hunger Games series; and I’m pretty sure everyone had (and already killed!) a variety of succulents before I bought my very first one. Sometimes I’m reluctant, sometimes I’m busy, and sometimes I’m just lazy. But eventually, I catch up with the trends. 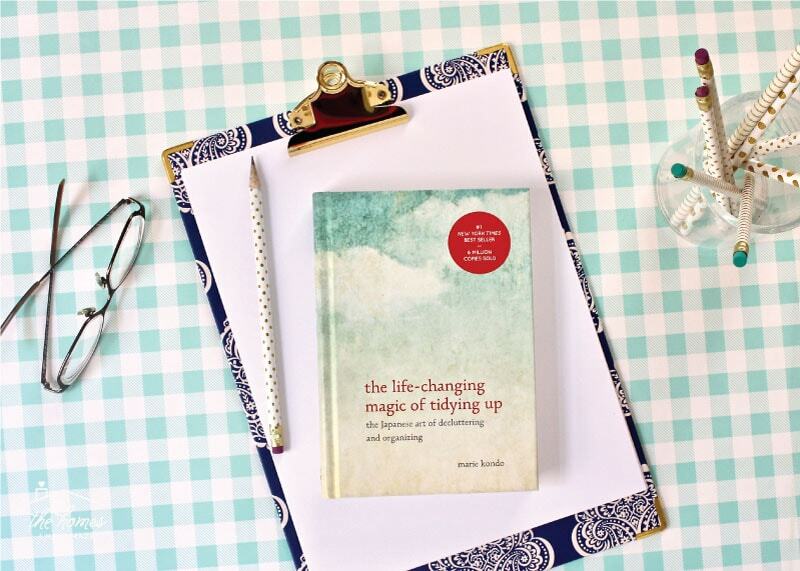 Such is the case with Marie Kondo’s book, The Life Changing Magic of Tidying Up. This is a book that has been on my radar for a very, very long time. And considering my penchant for all things neat, tidy and organized, you may have thought or assumed I was among the first in line to read it. Admittedly, this book fell into the “reluctant” category for me. I’d seen countless blog reviews, news features, magazine articles and more touting Kondo’s message of “joy,” “neatly folded socks,” and “thanking your items for their service;” and honestly, it all kinda made me roll my eyes. But since the beginning of this year, I’ve been undertaking an education of sorts on all things slow, simple, and less. And as I’ve been making my way through a variety of books to help me on my quest to calm, I felt like it was time to finally see what all the hoopla surrounding this book was about. I read this book last week while I was on vacation with my boys, and my reaction was a surprising mixture of disappointment, intrigue, disbelief, revelation, skepticism, and inspiration. 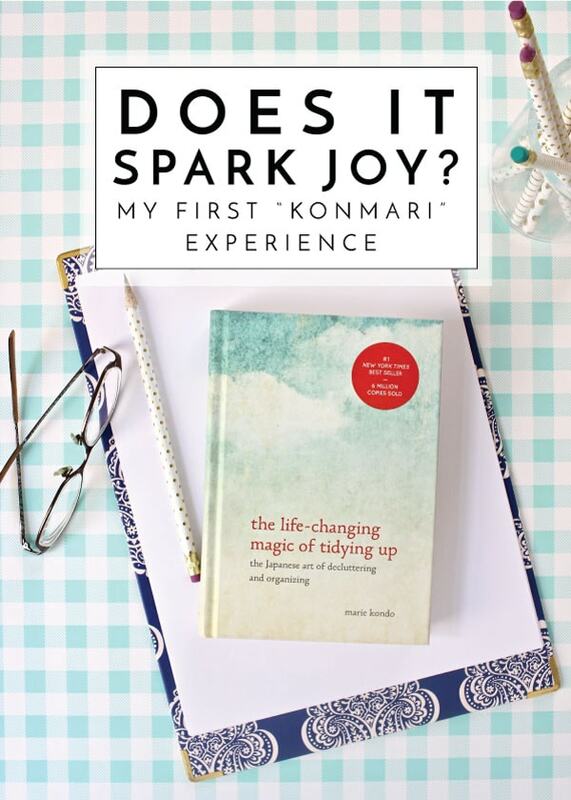 Today, I wanted to give a few quick thoughts about the book and share what happened when I actually put the famed KonMari method into practice in our home! There is so much packed into this tiny 200 page book. 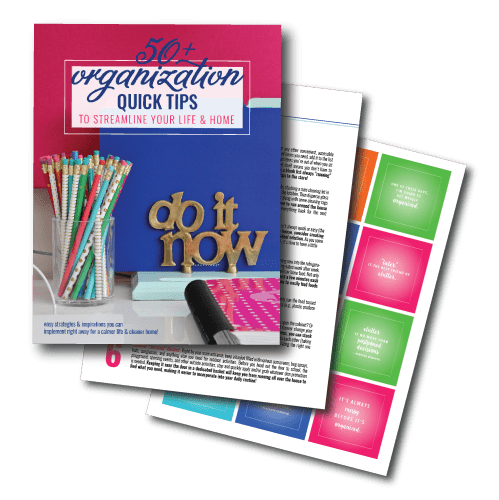 It’s a quick and easy read; and it is definitely one that will give you pause, make you want to talk about it, and maybe even inspire you to implement the organizing methods outlined. I feel like I could go on and on about what is (and isn’t!) in the book, what I liked and what I didn’t, what I agree with and what I don’t…but I am trying to keep my posts to a read-able length these days #iswearimtrying! I will say this though – when I put the book down after reading it straight for two days, I was genuinely shocked and a bit confused at the cultural circus surrounding the book. I was astounded at how little was covered. I was amazed at how poorly the book was organized (of all things!). 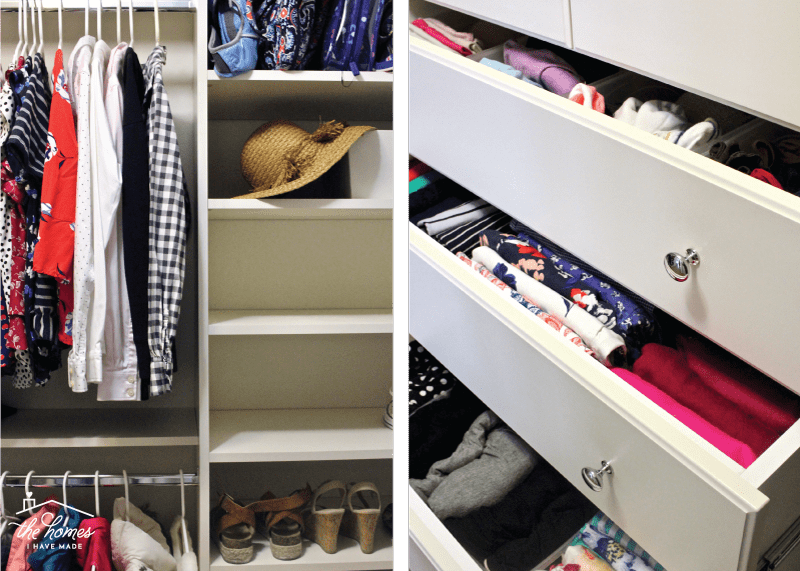 And honestly, I was taken aback by the extremely audacious claims that her method for decluttering and organizing would be a once-in-a-lifetime solution (meaning, you would never ever ever ever have to declutter and organize again!) #Seriously?!?! Despite my pretty strong skepticism and cynicism, it’s that exact claim that made me want to try the KonMari method…just a little bit. Although I did roll my eyes at a good bit of the book, maybe her method really is as revolutionary as it claims? 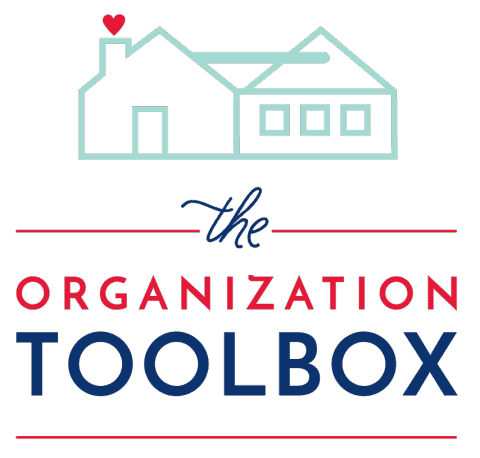 My extensive experience with decluttering and creating cute organization systems hasn’t truly stemmed the tide of stuff in our home, so maybe I do have a thing or two to learn? 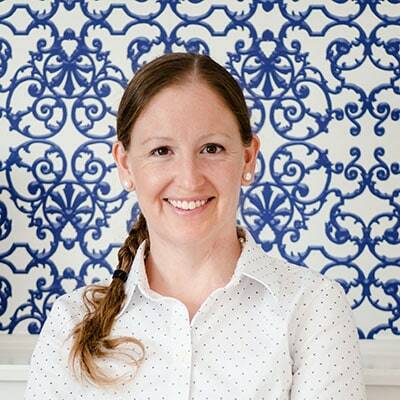 Could her too-simple, bare bones, extreme method really be a panacea from living with too much stuff? Could 4 little words really change our home forever? As much as I wanted to toss the book aside, Kondo’s book planted too many seeds of “but what if?” and “it doesn’t hurt to try it,” and “what do I have to lose?” and “could this really work?” So…I KonMari’d my closet (exactly where she said to start); and in short: I totally, really get it. 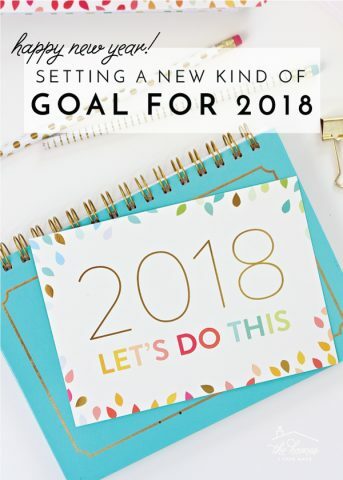 I’m sure you’ve seen and read various decluttering tips and tricks from organizing experts: “If you haven’t worn it in a year, toss it.” “If it’s broken or missing pieces, toss it.” “If it doesn’t fit you right,” “If you never use it,” “If the color is different than it looked in the store”…I could go on and on and on. 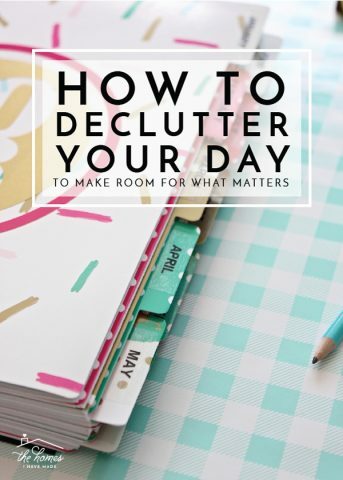 Kondo skips every single one of those guidelines and suggest that you instead use four easy words to declutter your home: “Does it spark joy?” That’s it. You are supposed to take each and every item (in a specified order, in your hands) and ask yourself if it sparks joy. If the answer is real, true, fervent “YES,” you keep it. If the answer is any version of “no,” you toss it. There are no thoughts of functionality, usefulness, sentimentality, or practicality. If the items lights some sort of fire in you, you keep it. Otherwise, you don’t need or truly want it. 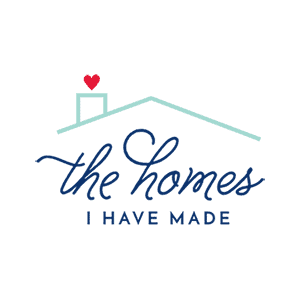 It’s a simple if not ruthless method…and by doing this – truly, authentically, genuinely – you will theoretically be left with a home full of items you love and nothing else. And that alone would be life changing. Yep – I was rolling my eyes too. Until I tried It. 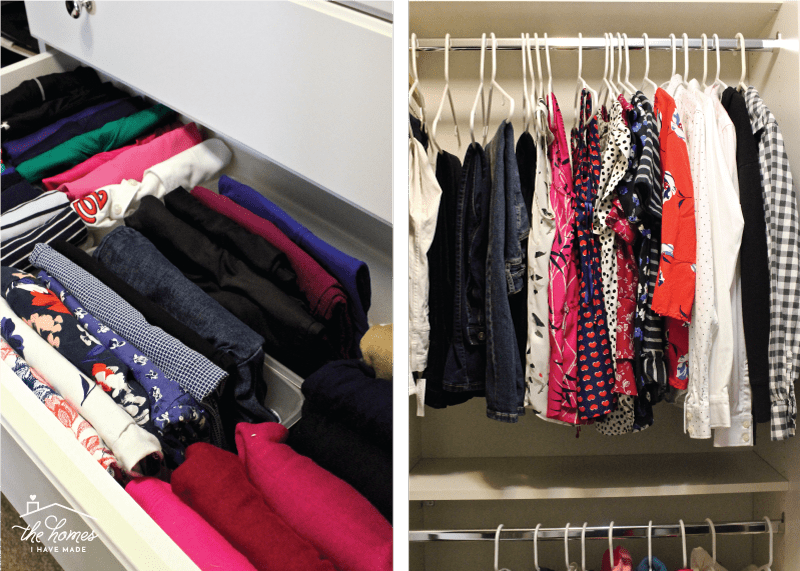 Kondo is adamant about decluttering your home in a certain order, and prescribes starting in the closet with your clothes. And so I did. I emptied my closet in the exact way she said to. I then took each item, one at a time, into my hands and (reluctantly) asked if it sparked joy. And boy was I surprised at the answers I “heard.” As I went, item by item by item, the most incredible and surprising thing of all (and the whole reason I’m sharing this with you!) was how instinctual the answer to that question really was. If I genuinely and honestly thought about each item and asked if it sparked joy, I instinctively said “YES” to the things I wear, fit well, love the pattern on, and treasure. Likewise, I instinctively said “NO” to the things that were falling apart, I never wore, never truly loved, were holding onto out of obligation or didn’t fit quite right. I was taken aback at how clear (not easy, but clear) the answer was each time. I rarely struggled, I rarely had to think twice. In my gut, I knew exactly which items sparked joy and therefor would stay and which ones were taking up time, space, and choices. 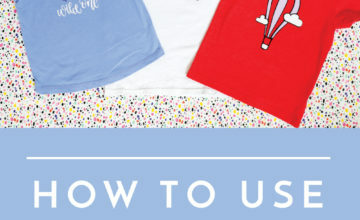 By asking if an item sparks joy and answering honestly, I was able to strip away a lot of the excuses for keeping items I truly don’t need or want <– and my hunch is it’s that exact reason why Kondo’s process is so different than any other. In a very short matter of time, I had two large garbage bags full of clothes, shoes and bags to head off to the donation center. After decluttering sessions in the past, I always had a few things I kept out of guilt, obligation or sentimentality. This time, I don’t. I can honestly say everything that remains are items I truly, really love. Life changing. Kondo makes some other big claims in the book. Many I won’t go into now, but I did want to bring up one more. 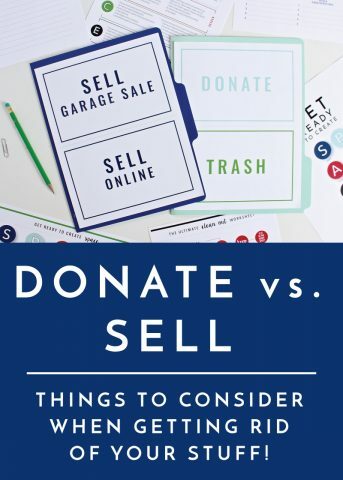 She suggests that once you really declutter a category (like clothes), you will be able to put things away, in the space you have, without any additional storage units or fancy storage systems. #gasp! Clearly she hasn’t met me! I thrive on maximizing space in a given area and basketing-labeling-stacking-and-corralling every inch until everything fits. Since that’s my instinct and go-to-method, before I started putting all the clothing keepers back into my closet, I went out to the garage and found every bin and basket I might need. Just this morning though, I put every single one of those bins and baskets back in into the garage because I didn’t need them after all. All of my items fit back into the space I had…with room to spare. I now have one entire hanging rod and 6 shelves completely empty. Everything has a well-fitting and logical spot (using her folding method of course…the one I rolled my eyes at). Everything is easy to put away and is nice to look at. 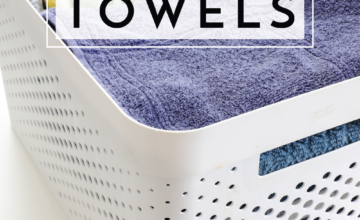 There are no fancy baskets, no complicated systems. Nothing fussy…and nothing, if I’m being honest, particularly blog worthy (sorry for the bad photos by the way, our closet is a dungeon!)! But it’s neat and tidy and oh-so-easy to maintain. 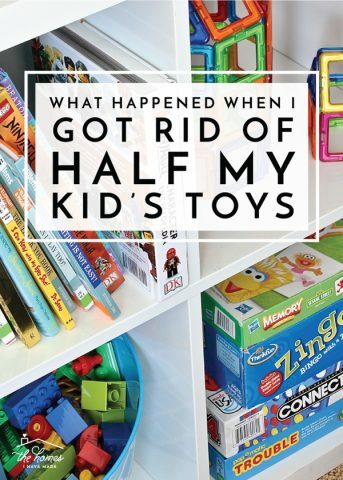 In the week since I’ve done this, I find that I am no longer taking things off and leaving them piled on the floor or on the bench at the foot of our bed. I know exactly where each item goes. I know it will fit without pushing/pulling/tugging/straining/undoing some complicated system…and so I go and put it away. Life changing. This isn’t the post I envisioned writing after I first finished reading Marie Kondo’s book. In fact, I already had a rough draft in my head all about why I didn’t understand the frenzy, how ridiculous her methods are, and how I just didn’t get any bit of it. But I really am on a true and slow “Quest to Less” and the organizing junkie in me couldn’t help but try it. And so I did. I’ve only KonMari’d my clothes and my books; the next category on the list is paperwork. But…I can confidently (if not reluctantly!) say: I get it. Already…the decluttering feels different. Already…the changes feel real and true and maintainable. I don’t want to say it or believe it, but the book’s title might really be true. This method, this book…might really be life-changing. Time will tell I guess. This post wasn’t the one I had “queued up” for today, but I really couldn’t help chatting about this here and now. At this point, I do plan to keep going through our things using Marie Kondo’s method; I’ll keep you updated on how it’s going and what I’m learning along the way. After all, clothes and books were easy for me. 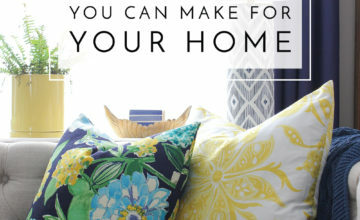 Once I get to home items and fabric, I might find that “joy” question much harder to answer! At the end of this year, I plan to share with you the variety of books I’ve read on our “Quest for Less,” as I’ve had a lot of eye- and heart-opening realizations already (via this book and others!). For now, though, I’d love to hear – have you read this book? Did you like it? Have you tried it? Were you skeptical? Did you roll your eyes too? I want to hear it all, so share away in the comments! 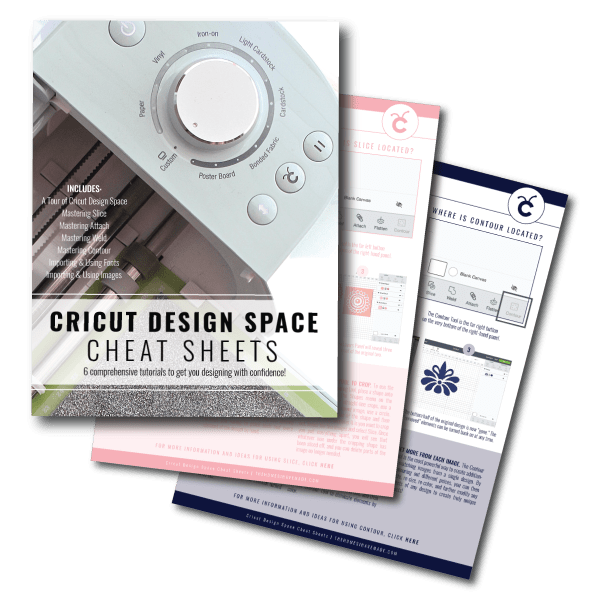 Oh – and if you’re looking for some other thoughts and inspirations I’ve learned and am learning on our “Quest for Less,” you can check out these other posts!